I’ve noticed something about Shark Tank‘s Lori Greiner lately: She always manages to weasel out the best deals and then makes the boys feel bad about the fact that they argue with her. She is a sneaky lady, that’s for sure. She’s the one who will present an entrepreneur an offer and then give them only seconds to accept, otherwise she’s out. She’s also the one who has this uncanny ability to sense when she’s going to lose a deal so she’ll quickly partner with another Shark. She also knows just how to hold out in the tank so the pressure is on the entrepreneur, but not enough that she’s the villain like Mr. Wonderful. More than all of that, though, she uses her track record as the most successful Shark to bait every entrepreneur she’s even remotely interested in. Tonight was no different as Greiner played the game to rope in Milk Snob, a multifunctional blanket-like cover for babies. Greiner had to hold out for a while with entrepreneur Melanie Disbrow, who wanted $125,000 for 5 percent of her business. Greiner wanted 10 percent and countered with a $150,000 offer. Disbrow didn’t initially want to budge on giving away equity over 8 percent, but Greiner was patient. Some of the other Sharks, Kevin O’Leary and guest Chris Sacca, were interested as well, but when Disbrow wouldn’t budge on the equity, they backed out. In the end, Greiner got her way as Milk Snob was left with the QVC queen as the only Shark left who was interested. A clever way to secure a deal, that’s for sure. And a good investment at that, what with Milk Snob’s $1.2 million in sales in just 18 months using social media marketing alone. I don’t necessarily find Greiner’s tactics to be wrong. I’m all for a strong woman who knows how to negotiate, of course. I just find it interesting that O’Leary gets labeled as the one who goes for blood when the real predator is sitting to his left. 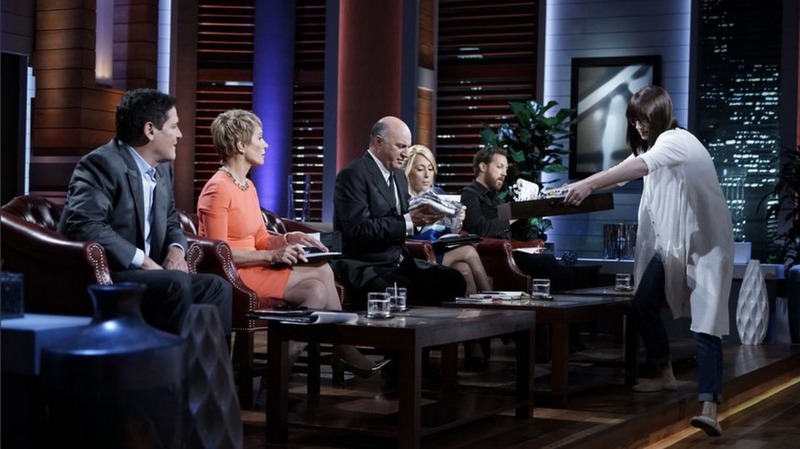 Do you think Lori Greiner is the sharkiest Shark on the show?